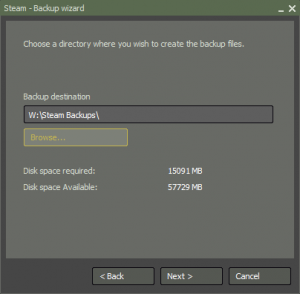 Steam is a great service: log in on any PC and play the games you’ve paid for. The only downside is the download; modern games are between one and five gigabytes, which makes for a long download. Or after you reformat your system and go to start playing games but have to wait a day for Steam to download them all again. Luckily steam has a backup feature: right click on your game in the Steam Games menu and select “backup games files”. You’ll be prompted for a location: I’m saving my backups to a network share. 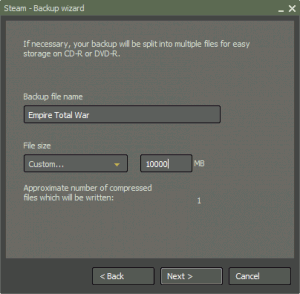 Next you’ll be prompted how to save the backups: in CD size, DVD size or custom. 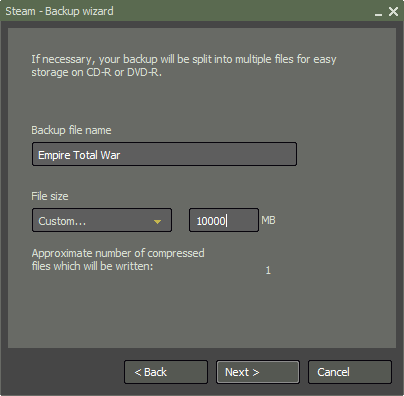 Since I’m saving to a network share I’m not concerned about file size and writing to an optical media so I select custom and chose 10 GB so there would be only one compressed file. 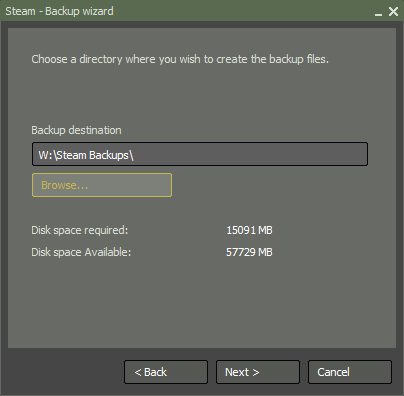 That’s about it: if you want to install it somewhere else or are reinstalling after a hard drive format or upgrade just double click on the steambackup.exe file and it will install and add itself to Steam. 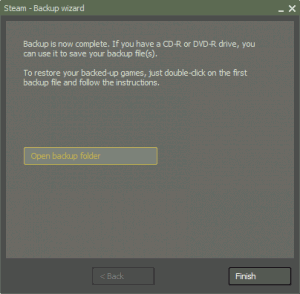 I’ve found games always require an update on an install from backup but that could just be me.